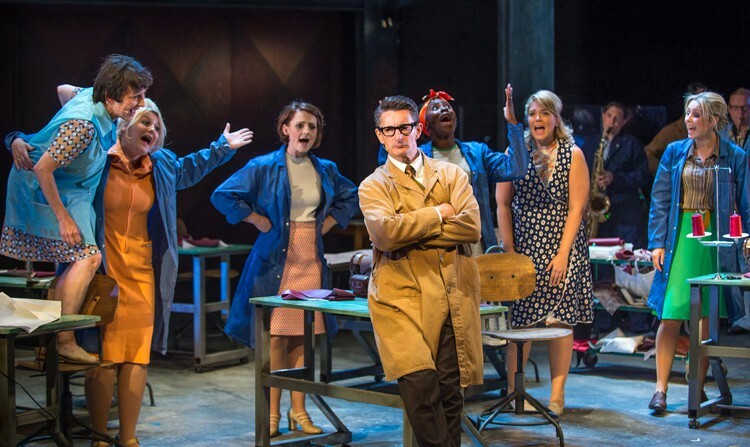 Expectations were running high at the opening night of Made in Dagenham. 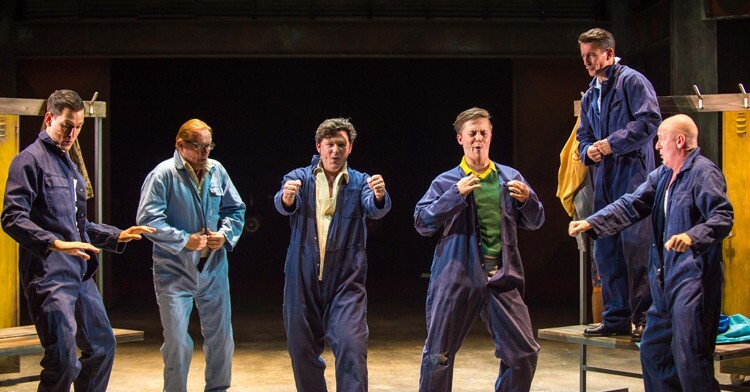 Less than two years after the opening night at the Adelphi Theatre on the Strand, the Queen’s Theatre Hornchurch opened their production of the musical just six miles away from the actual Ford Dagenham plant. A nice addition to proceedings even before the show started was a line of several Ford cars from the era of the musical positioned outside the theatre entrance, whose upholstery would have been done by the very sewing machinists who took industrial action in 1968. At least one of the owners of those classic vehicles worked at Ford Dagenham at the time. 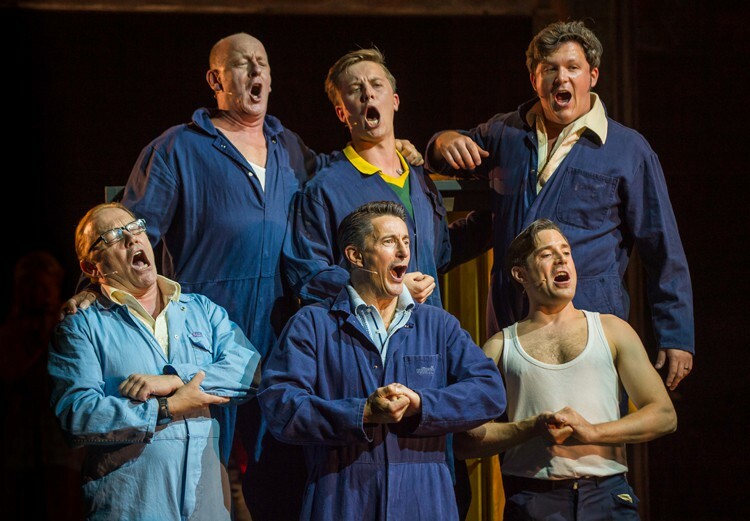 As for the show itself: in essence, the cast and creatives here put their own stamp of authority on the musical, and anyone who came expecting an exact replica of the West End production will have come away disappointed. That is their loss. There are no major changes to the narrative, though the discerning will have picked up on some minor modifications, and all the musical numbers have survived. Arguably, an opportunity to ditch ‘This Is America’ from the line-up may have been missed, though here, the overall subtler manner of delivery in comparison to the West End production means the Act Two opener is more amusing and less out of place than it came across on the Strand. The noise levels were well-balanced and produced a crisper sound than could be heard in the West End run. Even taking into account that I already knew the salient points of the plot, almost every line was clearly understood. The only reason why anything said or sung could not be heard was that the audience drowned out the speech with well-deserved and enthusiastic applause. Almost inevitably, there is infinitely more pushing and pulling around of furniture and props than there was in the West End, but the Hornchurch show does not suffer from this. Indeed, with sometimes substantially more left to the audience’s imagination, the book, music and lyrics increase in importance, and it is in a relatively pared-down (though by no means ‘cheap’) set that the strength of the script is more fully appreciated. 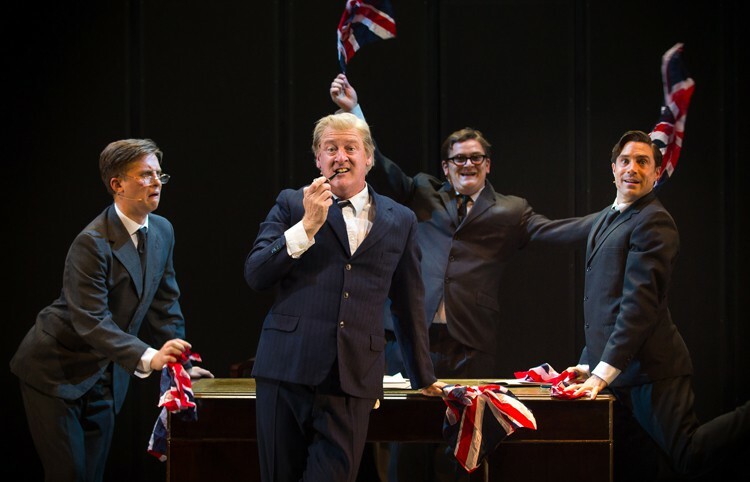 The use of actors doubling up as musicians as well as multiple characters sees, for example, Graham Kent, listed as having seven parts – three characters, and playing four different instruments. 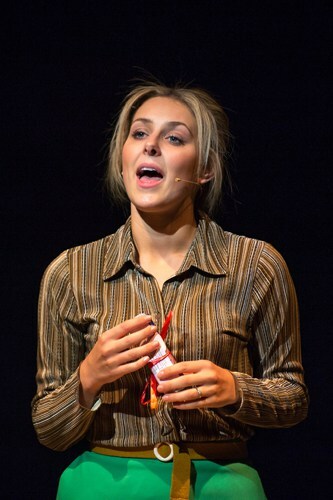 All cast members bar the children (one boy and one girl in each performance out of Aimee Flint, Teagan George, Christian Kraus, Freddie Parker, Paige Smith and Noel Sullivan) and Danielle Bowen, who plays the lead role of Rita O’Grady, double up as musicians. It’s a very slick, minutely-timed and efficient production that does not, thankfully, with one or two fleeting exceptions, require the musicians to lug their instruments around the stage as they sing, dance and converse. Of worthy note amongst the well-cast company are Claire Machin’s highly credible Barbara Castle, a likeable person of influence, and Angela Bain’s rather more abrasive Beryl, a very different character but also one that the audience took to heart. I resist the temptation to quote some of her acerbic put-downs for fear of revealing too much, suffice to say the complete lack of any sort of malicious intent makes Beryl hugely likeable, despite much of what she says being inappropriate, if not unpalatable. Steve Simmonds’ portrayal of ‘Cortina Man’ was a personal highlight, an adept demonstration of carrying on in the face of adversity. Also worth noting is the Cortina model in question, impressive enough to warrant its own smattering of applause on press night. 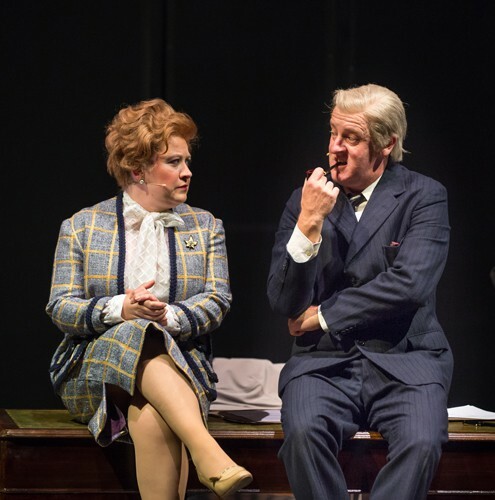 There’s less shouting than there was in the West End (I mean overall, not with regards to picket lines and protests), leaving the dialogue to flow far better and sound like genuine conversations rather than coming across as merely playing to the audience. The ending may be contrived, and as the show’s own programme, points out, we still don’t have ‘equal pay’ in every workplace. But this production tells its story very well, and there’s a lot of humour in this musical to be enjoyed too. A stunning and sensational show manufactured to a superb standard. 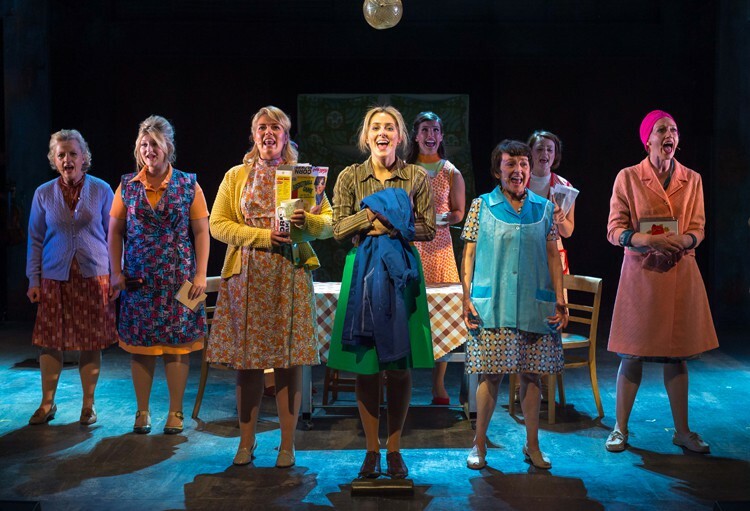 The Queen’s Theatre is excited to present the regional premiere of Made in Dagenham: The Musical, running from 26 August – 17 September – bringing this wonderful musical home to its East London roots after its West End triumph. 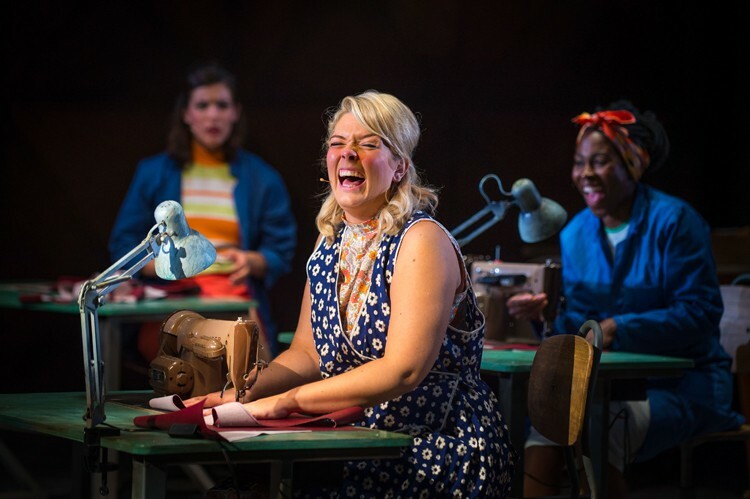 This fantastic actor-musician show, a co-production with New Wolsey Theatre Ipswich, features the largest Queen’s Theatre cast – a company of 27 super-talented performers. 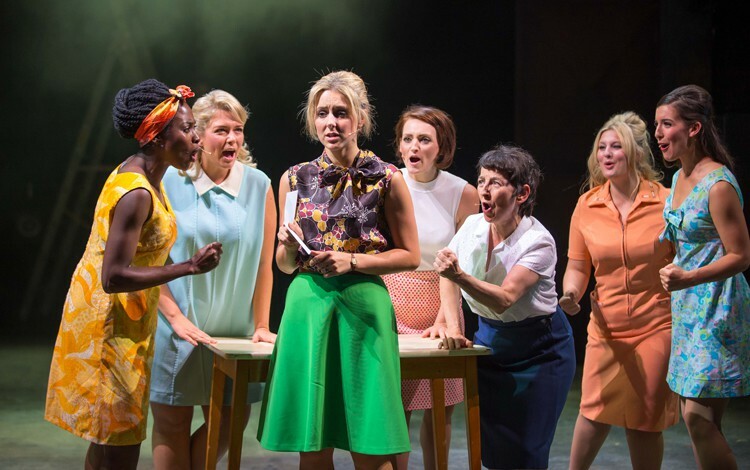 It is inspired by the true story of the sewing machinists’ strike at the Ford Dagenham factory, which eventually led to the Equal Pay Act. Dagenham, 1968. Rita’s a busy mum, loving wife and hard-working Ford factory employee. But something’s very wrong. Rita and her female colleagues find themselves working long hours sewing car seats for far less money than the men. And they’ve had enough. Finding a voice she never knew she had, Rita leads the women on a trailblazing battle for equal pay, taking on the unions, Ford’s top brass and the Government. As the pressure mounts, Rita struggles to keep up the fight and the happy home she’s worked so hard for. 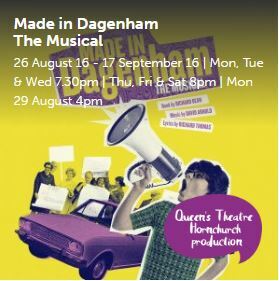 Made in Dagenham – The Musical has a book by Richard Bean, music is by David Arnold and lyrics by Richard Thomas. Based on the Woolley/Karlsen/Number 9 Motion Picture. This production is presented by arrangement with Josef Weinberger Limited. For more details about the Queen’s Theatre Hornchurch, visit queens-theatre.co.uk.